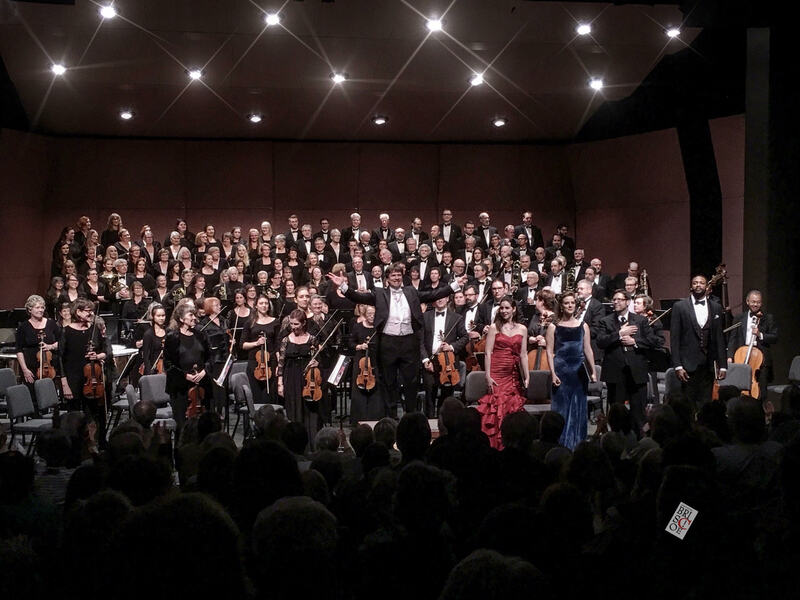 The Rogue Valley Symphony, now in its 51st season, is committed to bringing thrilling live performances of classical music to those living in and visiting the communities of Southern Oregon. We believe music is essential to the human experience and has the power to enrich lives beyond measure. We strive to offer you an exciting and memorable experience whether it is your first time, or your hundredth time, attending one of our concerts. Under the direction of Music Director Martin Majkut, the Rogue Valley Symphony (RVS) presents from September through April a Masterworks subscription series of six concerts, each of which is performed in Ashland, Medford, and Grants Pass. Diverse repertoire by the greatest classical composers of the past and present, combined with renowned guest artists, create exceptional performances. The RVS also offers gorgeous Holiday Concerts in December, and a family Discovery Concert in Medford once each year. The Rogue Valley Symphony is made up of professional musicians from the local area and beyond. Some of our musicians come from as far away as Portland, Eugene, Sacramento and even the Bay area – attracted by the beauty of our area, the opportunity to work under Maestro Majkut, and by the chance to perform interesting repertoire in a supportive working environment. Music education is a primary part of our mission; we offer four different programs that serve students in our public schools from Kindergarten through 12th grade. We’d like to welcome you to our season of concerts, and to celebrate with us in the joy of live classical music performance, right here in the Rogue Valley.